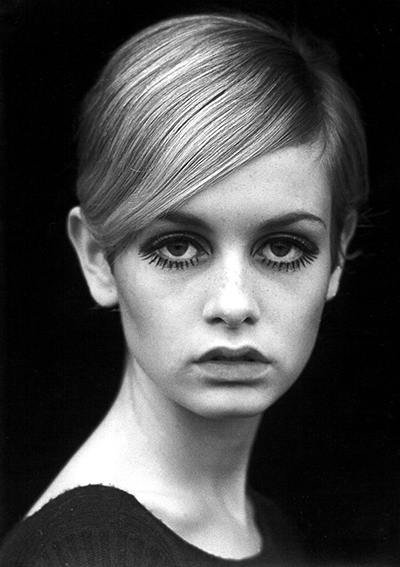 Pixie cuts first became a trend in the 1960’s thanks largely to Twiggy and Mia Farrow. In an era where women’s hair was still considered sacred, it took guts to go against the mainstream. But with their delicate features, each looked so gorgeous that other women followed suit and a trend was born. In recent years, dozens of celebrities have sported their own interpretations of the classic pixie cut with varying degrees of success. Stars such as Charlize Theron, Jennifer Lawrence, Jennifer Hudson, have given the look a whirl. Some, like Ellen Degeneres have made it their signature look. There’s no question that it makes daily styling a lot easier, but you need a certain confidence in yourself to wear a pixie, an “I’m comfortable in my skin” mentality to pull the look off successfully. You’ll want to adjust your makeup as well, to play up your best features. Most importantly, you need to find a stylist who understands the idiosyncracies of your hair, such as cowlicks, texture, etc., to ensure you’ll get a cut that works best with your features and your type of hair. That’s half the battle. Finding a top hairstylist from a 5 star salon in your area is a must. Don’t entrust the look to a run-of-the-mill hair salon. Find someone who’s skills you trust and stick with them for maintenance, because a pixie requires maintenance cuts every four to six weeks, depending on how fast your hair grows. If you live in Southern Florida, check out Red Market Hair Salon in Miami for a stylist with the expertise to deliver a pixie cut done so well, it’s likely to become your trademark look! Looking for an amazing beauty salon and spa in Miami? Call Red Market and get an unparalleled beauty experience. In our many years of professional salon experience, we have seen that most people with curly hair struggle to find the proper way to handle it. Learning to manage it and embrace the texture often leads to amazing results. It’s important to learn how to care for your hair if you want it to look lush and beautiful instead of frizzy and unmanageable. You want to find a balance between taming your hair and embracing your hair’s natural style. Enhance the beauty and health of your curls with these curly hair tips gathered from some of the best hairstylists in Miami. It’s not a good idea to use too much heat on curly hair because it alters the proteins in your hair and causes your curls to become limp and lifeless. If you choose to dry your hair instead of air drying, definitely use a diffuser. A regular hair dryer focuses on one section of your hair at a time. This can mess with the flow of your curls. A diffuser distributes air evenly, and it leaves the structure of your curls in tact. Diffuse your roots first to lock in volume, then work your way down to the ends. Leave your ends semi-wet if you can since they’re normally more damaged. Using a T-Shirt instead of a towel to dry your hair will dramatically reduce the frizz you often struggle with. It may sound silly, but it definitely works. Squeeze the excess water from your hair first since T-Shirts are less absorbent. You can even wrap the towel around your head after applying some product, and sleep on it. It’ll help keep your curls from deflating during the night. Conditioners are crucial to the care of curly hair. Your curls prevent natural oils from getting all the way to your ends. That’s why the lower half is more damaged and dry. As important as conditioners are, it’s just as important to not use too much shampoo. Cut back on how often you shampoo your hair, or cut it out all together. Replace your shampoo with a cleansing conditioner. It won’t produce a foamy lather, but it’ll greatly reduce frizz. Find the perfect products for your curly hair. Try Discipline Oleo-Curl. This amazing leave-in creme adds definition to even the most unruly hair. It’ll leave your hair soft and smooth while eliminating frizz. Another great product is Curl Fever radiant curls shaping gel. This hydrating, yet lightweight, gel will add moisture to your curls without weighing them down or restricting your hair’s natural bounce. It also provides protection against heated styling. Both of these great products by Kerastase have become very popular among those with curly hair. Your curls are a part of you, so take care of them. Following these helpful tips will increase your good hair days and help you get the desired looks you want from your locks. For an evening out, curls can be styled to perfection by visiting top beauty salons. A few decades ago, rainbow hair color was a trend reserved for rock stars and teenagers. Now anyone can rock a touch of rainbow hue in their hair. There are tons of ways to incorporate vibrant color into your style, from subtle streaks to a full spectrum rainbow. Talk to your stylist about trying one of these colorful looks. Just like traditional highlights, colorful streaks can instantly brighten and frame your face. If your hair is lighter, go for pink, like Rachel McAdams. Darker tones look lovely with shades of blue. Want to go a little bolder? Try a colorful ombre dip-dye. Deep purple ends fading into pastel violet and your natural color at the roots is a little bit sweet and a little bit punk. Up for a really unique look? Try a reverse rose gold ombre. Sweet pink roots fade into pastel and gold or platinum blond ends. This technique is done by using Balayage. Be sure to find a balayage expert in a top beauty salon. If you want your hair to really steal the show, mix shades of more than one color. Try alternate streaks of red, orange and yellow in dark hair, or blend pastel violet and pink in lighter shades. For the truly colorful, add a full rainbow on the underside of your hair, or have a rainbow arch away from your temple. All of these trends that incorporate bold colors must be done by top colorists, usually located in 5 star salons. It is a complex process to keep the hair healthy and looking subtle and this can only be accomplished by a top hair salon who uses the best haircare such as Kerastase and is highly in tune and up to date with these trends. As the best salon in Miami can attest, more men than ever are wearing their hair longer, instead of opting for short, clean cuts. Longer hairstyles for men have always been around in one incarnation or another, as symbols of particular lifestyles, such as that of the surfing enthusiast. However, longer locks on men have been increasingly making their way into global media, and can now be seen on many famous actors, models and professional businessmen. The 2016 best haircuts include long styles for men that were not seen in the best 2015 haircuts. For instance, the fade undercut with long, wild hair is popular in 2016, with its shaved sides and long on top look. We are also seeing more texture in today’s long hairstyles. Brad Pitt is frequently spotted wearing a half-up, half-down, semi-bun, which requires him to pull up half of his long hair. This is a simple look that involves dividing the hair into two equal sections, horizontally. The upper section is secured in back with a hairband. Keanu Reeves and Tom Cruise are other celebrities often seen wearing this style. Top Miami Salons report frequent requests for a men’s long hair style that was once considered a feminine style only. Braided rows begin at the hairline and move backward toward the top of the head in neat, uniform rows. Influenced by hip hop culture, the look has permeated the mainstream. Johnny Depp has rocked the shoulder length look, adding a touch of maturity to his youthful face. This is a style that requires a deep side part with a sizeable section of the hair swept over the head to one side. This style is a great choice for formal events. Stylists predict that more new long hair styles for men will make their way into the mainstream over the next 5 years, to coincide with the short cuts, rather than to compete with them. At Red Market Miami, we have noticed that variations in length have become more prevalent in men’s everyday life. Fashion trends are now present at the workplace and men are exercising a lot more freedom in their business look, regardless of their profession. “It is a trend that we enjoy working with because our male clientele don’t always realize how many options of hairstyles are available to them and their hair type” Says Top Stylist Rogelio from Red Market Salon Miami. Ever heard of Balayage highlights? They are the new hot trend of 2016 that anyone can try. Balayage is the french word meaning “to sweep” or “paint”, which describes the technique used by stylists to achieve natural highlights on hair. Read on below to check out how it’s done and why you should try it out! The beauty of the Balayage technique is that it creates wonderful highlights throughout hair that looks much more natural than the traditional. The way stylists are able to create such natural looking highlights is because they “paint” the strands of hair during the lightening process. This painting is done freehand with a gradient effect, meaning, less product is used towards the roots, and is gradually increased towards the ends of the hair. Balayage is done freehand by your hairdresser without the use of foil, in order to create the perfect transition between your natural hair color and the highlights. Highlights done with the Bayalage technique are extremely easy to maintain because of their gradient effect. Balayage highlights grow out beautifully and seamlessly, which leads to stretching the time in between appointments. In comparison to traditional highlights done with foil alone, Balayage allows the client’s new growth to come in with a much more natural appearance. However, with traditional highlights, your natural hair color comes in with a blunt color difference when growing out, that requires frequent touch ups to maintain the style. The great thing about the Balayage technique is that it looks fabulous on everyone. The best stylists with darker haired clients may combine the freehand painting technique with foil in order to properly lift color from the hair. Anyone would be able to maintain this style just as they would any other color service. Using appropriate shampoos and conditioners such as the Kerastase line that is meant for color-treated hair are recommended to keep the highlights intact between appointments. Schedule an appointment with the best hairstylists in Miami only at Red Market Salon to try out these hot, new highlights! Victoria Beckham is one of the most stylish celebrities of the 21st century. She even has her own super chic line of ready to wear fashion. VB’s hair style has changed many times over the years. However, no matter the cut or color, her hair has always complemented her ultra-modern and on-trend style adding to her allure. Let’s take a look at hairstyle icon Victoria Beckham’s ever-evolving coif. VB earned her Posh Spice Girl nickname with a sleek mid-length cut. VB debuted a bold, super short pixie cut. VB’s pixie cut didn’t stay short for long. A few years after her debut with the Spice Girls, her hair returned to her signature sleek look, but now reached below her shoulders. This year VB’s hair was long and layered with some strategic highlights. VB rocked an angled razor cut, which showed off her amazing bone structure. Naturally brunette VB went for a striking new look this year. In the spring she was sporting a fun blond pixie cut which by fall had grown into a sleek platinum blond bob. VB’s super short cut in her natural dark brunette proved that short hair can be just as beautiful as long hair. This was the year of the messy up-do for VB. 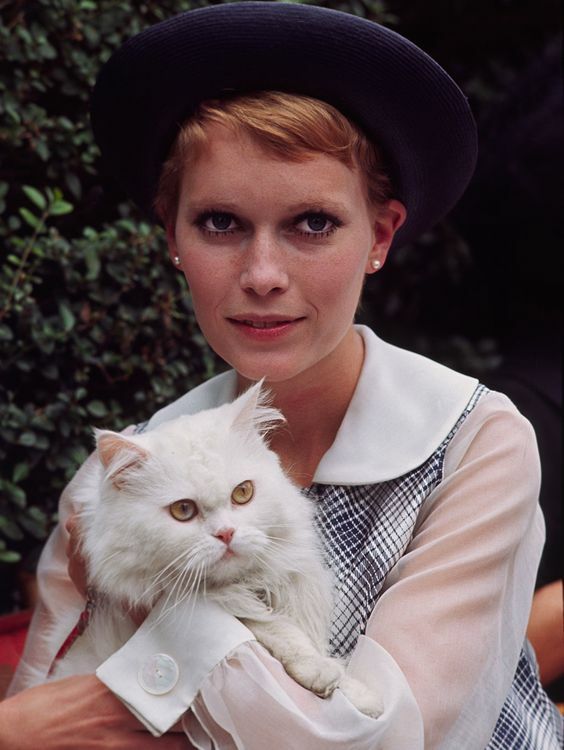 She often wore her medium length hair in a chignon or bun with some strategically undo pieces. Lately VB has been sticking to the shiny, straight, and sophisticated look, parting her hair to the side and letting it cascade over one of her shoulders. Victoria Beckham does not spare expense when choosing her stylists and with good reason. Her hair has been her trademark since she went from pop star to World renowned style mogul. At Red Market we don’t spare expense either. We train and handpick only the stylists equipped to deal with such clientele. The ponytail– the most basic of hairstyles, right? Wrong! Celebrities, stylists and social media fashionistas have been reinventing the ponytail for the new millennium. Even if you don’t have super long hair, you can easily bump up your ponytail style. Check out these fun ponytail styles for every occasion. The ponytail can work for the most formal of occasions, especially when paired with a braid crown. Start with a french braid across the crown of your head from temple to temple, then gather loose curls into a low ponytail. You can also use a faux-braid headband and disguise the ends of the headband with loose strands tucked behind each ear. Braids and ponytails work well for fun and casual occasions as well. Braid a single, thick chunk of hair from the crown of your head to the end. Gather the braid and the rest of your hair into a medium to high ponytail and, voila, you have a fresh ponytail for summer parties. This style works for day-to-night looks and for long and short hair. Create a volume at the front of your head by backcombing the hair at your crown. Smooth the hair along your forehead back over the volumized section and gather the rest of your hair into a high pony. Use a piece of hair from underneath the ponytail to wrap around the elastic band. Secure the wrapped hair with bobby pin. Ponytails work for so many occasions and are a classic look that will always be in style. At Red Market Salon Miami we can help you choose the perfect style whether you are running off to a work meeting or wanting to look glam for a Gala. Like skin, hair needs to be moisturized too, even if it seems like the climate you live in is humid enough that you don’t need to or you’re rocking the best Balayage highlights in Miami. Neglecting to moisturize your hair, or over-using heat tools will leave it porous, and susceptible to absorbing floating moisture in the air around you. So a great style for hot humid summer days begins with moisture. Start by using a deep conditioner in the shower, but focus on the midshaft and ends, to avoid an oily scalp and maintain your natural volume. In addition, aim for applying a leave-in treatment once every week or two weeks, to deeply condition the hair. With the added heat of the summer sun, you really do need this added moisture in your hair to prevent frizz. Next, just like your skin, you should rinse with cold water to seal the hair’s cuticle from outside moisture. You can help this by applying a light styling balm suited for your hair texture. When it comes to styling, try to give the hair a break from heat styling whenever possible. If you must blow dry, use a thermal-activated product like Kérastase Discipline Fluidissime, which helps fight frizz from humidity, as well as damage from heat styling. Also, make sure to use the proper technique. Blow dry with a round brush, taking care to aim hot air downward, rather than blowing air against the direction of hair growth. Blow drying properly helps the cuticle to lay flat, which will give you a sleeker style. Bursts of cool air in between sections also help the hair from getting too dried out. Finish the style with your favorite hairspray. Balancing moisture in humid climates can be tricky, but with the right technique and quality hair product, you can maintain your style even during the hottest summer day. For more tips on keeping up smooth and frizz free hair, visit us at Red Market Salon Miami to speak to our experts and purchase the best Kerastase products for your hair type. Thinking about switching up your dark hair by going platinum blonde? Our stylists here at Red Market Miami take special care of your tresses when going from dark to light. Going platinum blonde usually requires what is called a “double process”, which means the hair is lifted (bleached) twice. This is followed by a special treatment such as Olaplex to bring life back into the hair, and possibly a gloss or toner to finish off the color. The process of hair lightening likely will need to be done in stages so that our stylists can ensure that your hair looks and feels great upon conclusion. Below is a brief look at how our colorists can properly take your mane from the darkest brunette to blonde like only the best salon in Miami can do. Your Red Market top colorist will begin by mixing the lightening agent they will be using to lighten your strands. The bleach is placed a few inches below your roots to avoid rapid lifting. The reasoning for this is because the scalp gives off heat, which causes the color lifting process to accelerate. The bleach is then washed out in sections to make sure the color is even. If you are starting off with very dark hair, your hair may be blown out by your stylist and bleached another round in order to achieve the desired color. Going platinum blonde is a complex process that requires patience nonetheless, but here at Red Market Miami, our stylists utilize the proper precautions to greatly reduce damage, thus, retaining healthy, fabulous hair. You can trust that the best colorists in Miami will put your hair in the best care as you begin your transition. Whether you love or have issues with your hair, it’s natural character will always be what determines your ability to make it look its best. Your ethnicity is one of the most important limiting factors for your hair’s appearance. Although many products and services exist to change the look and quality of your hair, straying too far from nature’s plan can encumber, rather than enhance your look. What is the best way to embrace the natural brilliance of your hair and love the results? Becoming a friend to your hair means knowing its limits. Just as you desire some unattainable ideal that graces the head of another, recognize that others would love to have just what you have! Pamper yourself with different looks, but remember that sometimes less is more. Together, your skin and hair form a naturally complimentary color palette. Color can add allure and dynamism, but consider your choices carefully. Working with what your hair naturally is and does, puts forth an effortless air and lets others know you are confident in your appearance. Healthy hair encompasses what you put in it, as well as what you put on it. Good nutrition is a great start, but limiting your exposure to chemical treatments that change hair texture and color is just as important. Constant coloring, curling of straight hair, or straightening of curls can set your coiffure on a path to destruction. Instead of the celebrity style you hoped for, damage and frizz is often the result. Single out the best attributes your hair has to show! You can enhance the shine of board-straight hair or revel in the luxurious look of massive waves or excessive volume. Enlist the instincts of close friends and styling experts to help you find what works for you. Ultimately, striving to highlight what you love about your hair, while working harmoniously with what you don’t, eases your routine and shows the world your best face. At Red Market Miami, We are all about change however understand the difference between changing your hair in it’s entirety or just highlighting the natural assets you were born with. Our colorists are trained to take into consideration factors such as skin color, ethnicity, hair texture and more in order to help our clients choose the best shades. Consulting one of our experts is always the best way to make an informed decision on your new look. On next week’s blog, check in to read about the healthy process to go from dark hair to platinum or light blondes. Regardless of your style choice, Red Market Miami will make sure your hair stays healthy through it all. Discover why Red Market is the top salon in Miami.